Thanks everyone for participating and be sure to check our blog frequently for more cool giveaways. One of the most common and difficult problems with working with information is the space it occupies. The modern age, technology and the amount of information every individual deals with, can be overwhelming. WinRAR enables you to compress a large number of files, shrinking the amount of information into a single and much smaller folder. 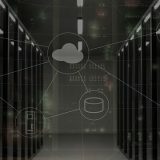 As a result, your computer or a mobile device has more valuable space left, and it gives you, as a user, a sense of more control and efficiency in dealing with your previous information. 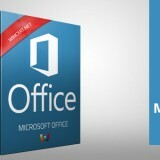 Later on, when you need to, you can also use WinRAR to open, extract and work with your files, quickly and conveniently. It also offers many additional functions which include managing your documents, e-mail attachments and different kind of multimedia electronic files, which are known to take up a lot of space. Making your e-mail attachments smaller means you will be able to send and receive them more quickly and password protection will offer extra security when needed. WinRAR also allows for your multiple files to be archived into smaller folders and saved in either a RAR or a ZIP format. 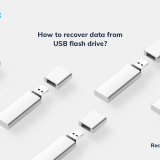 You will be able to split documents or multimedia files that would be too large to save on a USB drive as a whole, and only take with you the single piece of information that you actually need. This function also applies to sharing your information online, making the entire process much easier and simple. WinRAR really makes the difference in the practicality of everyday information sharing. Furthermore, the WinRAR has an option of self-extracting files. It takes only a double click for your recipient to be able to open the file you sent, without needing a specific software. And the list of possibilities of this great software just goes on and on. In conclusion, WinRAR really stands out as a very useful compression tool. It offers safety and stability which is crucial when it comes to saving and sharing information. And it keeps adding improvements, creating and extracting multi-volume files without a flaw. 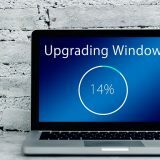 On top of it all, it is important to mention that WinRAR has integrated compression and backup programs as well as a recovery record function which makes it possible for you to repair your files in case of damage or any kind of data loss. WinRAR really is a state of the art compression tool which will soon make all the other programs useless, too complicated and obsolete. 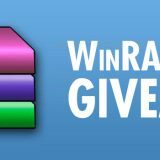 WinRAR 5.50 version brings several improvements as of now the RAR 5.0 archive format becomes the default. RAR 4 archiving format can still be used from archiving dialog or by using a -ma4 command line switch. The latest release of WinRAR also brings the possibility to use a master password that can be used to encrypt saved password records and protect them from unauthorized access. 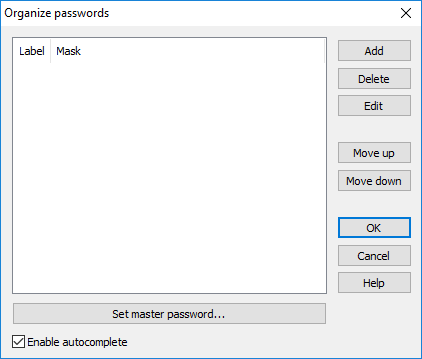 The new version uses a new data format for the password organizer, so passwords stored in the “Organize passwords” dialog are not readable by older versions. It does not affect archive encryption formats and encrypted archives are compatible with previous WinRAR version. In addition, the usability of decompression dialog of password protected archives has been improved. 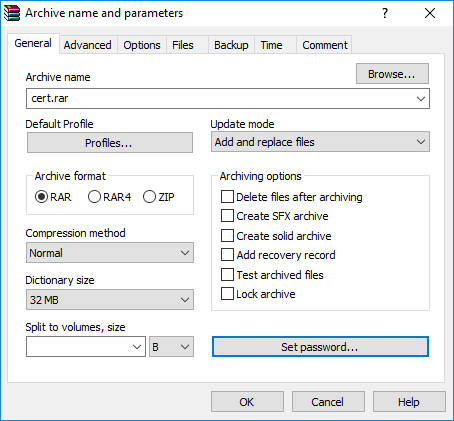 If a wrong password has been entered when unpacking an encrypted RAR5 archive, WinRAR proposes now to enter a valid password for the same file instead of aborting extraction. Further security enhancements include default AES-256 CTR mode encryption which is significantly more secure than ZIP 2.0 legacy encryption algorithm. WINRAR 5.50 now supports LZ and ZIPX file formats created by Lzip compressor and those file formats have now be added to the list of supported associations. The complete list of all improvements and bug fixes can be found HERE. You can download WinRAR 5.50 x64 version HERE or x86 version HERE. The software can be evaluated for 40 days and new users can get 30% of their WinRAR purchase. Also, please leave a comment below with your full name and email (email will remain hidden) so we can contact you in case you are one of our lucky winners. Winners will be announced on November, 12th. ok feito. eu quero. good giveaway. Thank you for perfect raffle. Thanks forbthe wonderful giveaway. WinRAR is a powerful archive manager. Thanks for this giveaway please count me in. 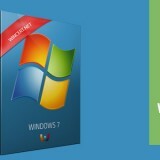 Many thanks for WinRar latest version giveaway. I’m still using old version4, so counting big on this giveaway to win. Thanks for the giveaway. Count me in please. Thank you for once again generously giving away a copy of your latest version of Winrar. Thank you for the review and the giveaway! WinRAR is my favorite archiver. Thanks a lot for this excellent giveaway. WinRAR is definitely the best archiver. WinRAR is the best archiver. Hope to win. Good luck to everyone! WinRAR is the best archiver. 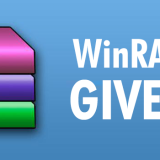 Thank You Wincert & Nik for arranging this giveaway with Winrar. Nice review published here. Winrar has improved over the years so much. If this is a contest for professional version then I would like to be in the draw. There is alternative from Ashampoo Zip but Winrar is the best. Thanks for the giveaway! I wanna take part. I like WinRAR but my version is outdated. Thanks for the awesome giveaway for readers. I hope to participate. Hi, Kevin here. Followed you through from facebook and into this contest. Excellent writing & description of all modules of Winrar. More of this good stuff in future! Best regards. Great thank you for a giveaway! great giveaway thanks for this. I use old version of winrar. So thank you for the raffle. Thank You very much for this awsome giveaway. I hope to win. This is a terrific contest, thanks! Great contest. Thanks I am taking part. Hope to be lucky enough. Hi thanks for the giveaway. Regards from Darren. Thanks for this Awoesome Giveaway! WinRar is a must-to-have compression and decompression tool for pc users! Great giveaway thanks everyone who bring gifts to readers. 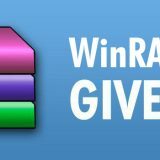 Thanks for this excellent giveaway..
Winrar is one of my favorite software..
Winrar is one of my favourite software..
Congratulation to Eugene Roshal for great compression algorithm! Le meilleur logiciel de compression. Thank you for the opportunity to participate in this giveaway. I have liked both facebook pages. WinRAR is one of the software I would tend to purchase if I have money. Thanks for serving humanity. Winrar is the best compression software! Thanks for the giveaway! I have also liked 2 fanpages you provided. Hope to win ? Thank WinCert & WinRAR for this giveaway. Thanks a lot for this excellent giveaway. WinRAR is definitely The king of compressed files,the best & powerful archive manager. , Really fast and efficient! Huh! It’s a piece of a good soft! Thanks! Hi, I received mail yesterday. I was busy at work for the week so late. Have replied just in last hour. Hope you got the mail Nik. Thanks from Steve. Hello Nik as you requested in email I have sent details through mail. Please check & inform. Yup, got it. I have forwarded it to WinRAR marketing team. Hello Nik, just to confirm WinRAR sent license through mail last day. Thanks for your help.